Interrupting Spy Fiction Fortnight briefly, just a short note to point you in the direction of the ever-excellent Violent World of Parker website – the go-to place on the web for all things Westlake and Stark – where I have a guest post up on the similarities between Peter Rabe and Richard Stark. It's worth a look even if you have already read the original version – which I posted on this blog back in January – because a) I've rewritten it slightly, b) it's now on The Violent World of Parker, which automatically makes it ten times cooler than it originally was, and c), there's a particularly awkward sentence in the third paragraph that really should win some sort of prize for being a fine example of how to successfully torture the English language. Unfortunately it's not my blog, so I can't edit it, but at least you can go and have a laugh at my expense. 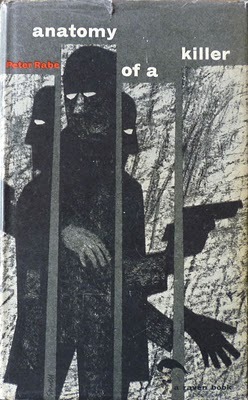 Anyway: back to Spy Fiction Fortnight, where next I'll be looking at Tinker, Tailor, Soldier, Spy – both John le Carré's novel and the '70s TV adaptation.